Two daytime soap operas recently kicked off storylines that find fan favorite characters contending with their mortality. On CBS Daytime&apos;s The Young and the Restless, grouchy mogul Jill Abbott Atkinson (Jess Walton) suffered a heart attack while confronting her thieving husband. Over on ABC&apos;s General Hospital, seemingly invincible super spy Anna Devane (Finola Hughes) was diagnosed with polycythemia vera (PV), a rare blood cancer. Jill&apos;s battle with heart disease and Anna&apos;s cancer diagnosis hearken back to a time when soaps were utilized as vehicles for entertainment and education at the same time. Both sudsers have partnered with real-life health organizations to raise awareness about the respective diseases via public service announcements. Walton appears in a CBS Cares PSA bringing awareness to heart disease, which is the number one cause of death among women. Hughes is working with Voices of MPN to shed light on PV. Kudos to both soaps for embarking on storylines that could help save lives. See the videos below for more information. 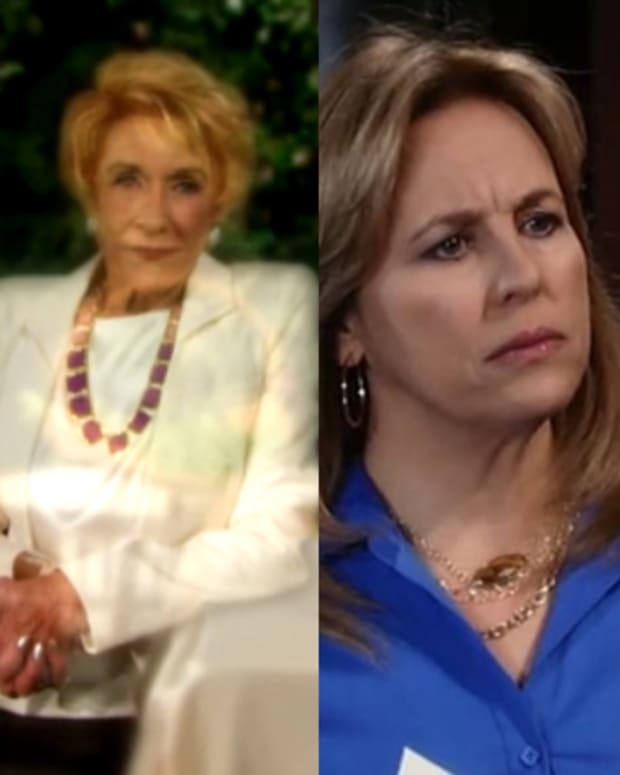 Same Script, Different Cast: Are Jean Passanante and Shelly Altman Recycling Old Y&R Storylines on GH? Tristan Rogers on Y&R's Colin and Jill: "It's a Love Story First"